Everyone wants to make their life a little easier. Especially independent musicians. From being the artist to the tour manager to the PR specialist, indie artists have a lot on their plates. So when we find a tool that frees up a little of your time and does its job well, we get excited. Bandsintown is a website and app that lets music fans track their favorite artists. 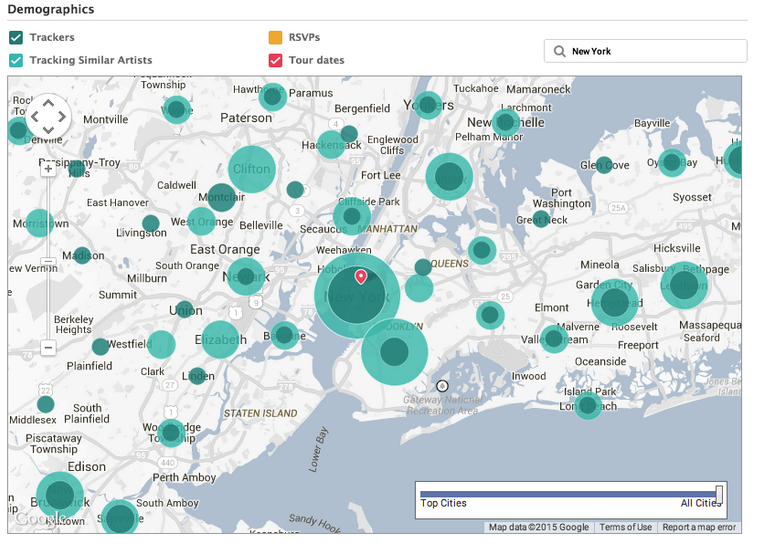 Then it lets those fans know when the artists they tracked comes to town. 65% of all touring artists in the United States use Bandsintown, and they have over 120 million fans subscribed to their service. For the artist, it’s an easy tool to use. 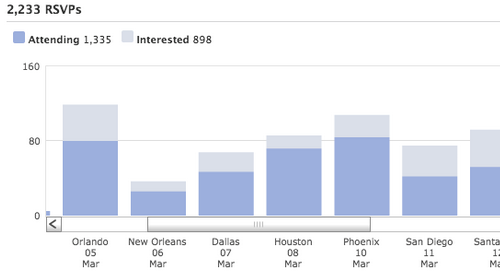 Bandsintown adds a “Tour Dates” tab to your Facebook page, and you can manage everything from there. It’s a simple concept that has some great features. 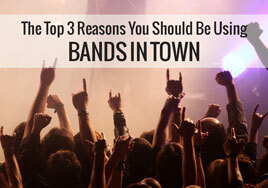 So let’s dive into why Bandsintown might be a good tool for your band. A few weeks ago we posted a blog about ReverbNation, and it warned against letting third parties automatically post concert updates to Facebook for you. We cautioned against using this feature on ReverbNation primarily because there was no way to control these posts, besides turning them on and off. They tended to fill up artist’s Facebook and Twitter with duplicate content that had the potential to drive fans away. This is not the case with Bandsintown. Their automatic posting feature has tons of options that let you control exactly what is posted. 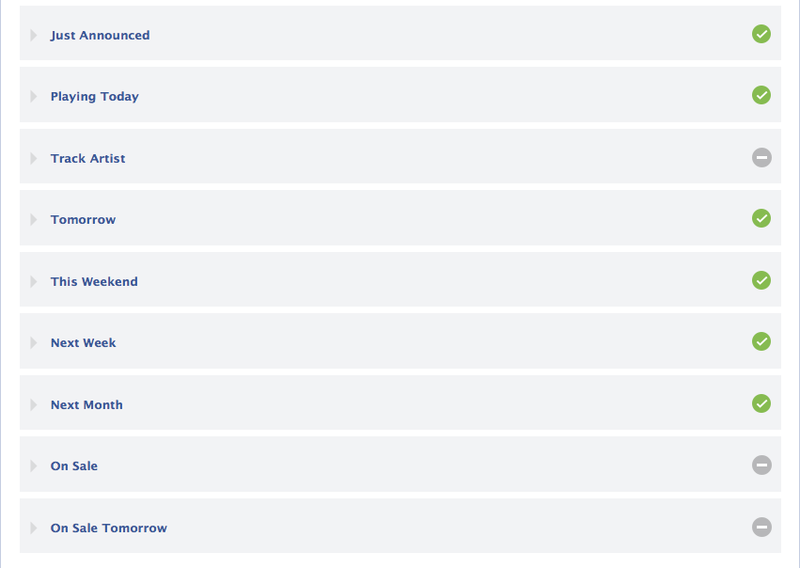 If you choose to turn these posts on in Facebook, you can also target them geographically. This a great feature. It makes sure you’re not bothering all your West Coast fans with your extensive touring in the Northeast. It’s also notable that the “Tour Dates” tab allows you to upload a custom video header. This is great news, because it allows your fans to engage with visual content before they browse your tour schedule. It’s been shown that visual content (graphics and video) tend to create higher response rates with viewers, so having this built into the page where your shows are displayed is a great feature. Fans are the lifeblood of any musician. And having data about those fans can mean the difference between a successful tour or playing to empty rooms every night. If you have over 100 trackers (fans) in Bandsintown, you can receive fan analytics. Probably the best feature in these analytics is the fan heat map. 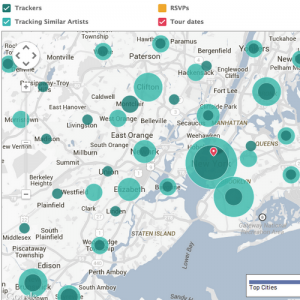 This tool allows you to see where the fans that track you live, where fans who track similar artists live, and the locations of fans who have RSVP’d to your shows. This helps you to create a tour schedule that will have the most impact for you. They also create a list of the top 100 markets for your live show based on the number of trackers in each city, and show you a graph of actual RSVPs for your shows vs. people who are interested in attending. Bandsintown has a nice looking widget that you can embed onto your official website to display your tour dates. This is handy because you only have to upload your show dates once and they will be live on your official website and social media. Another bonus is that Bandsintown has partnered with Google to streamline the ways that events show up when you search for a band. Since Bandsintown and Google are buddies, all your show information is easy for Google to read, and shows up clearly. 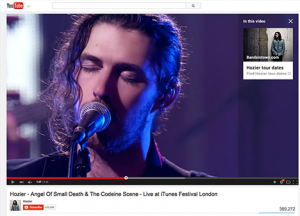 Another benefit to Bandsintown’s relationship with Google is YouTube Cards. YouTube hopes to replace annotations in videos with small rectangular boxes called cards. These cards are small pictures with text, and will display on desktop as well as mobile browsers. You can link these cards to your official website if you’ve already affiliated your YouTube channel with your website. However, if you want to use YouTube cards to sell anything, you have to use a retailer that has already been approved by YouTube. The good news is that Bandsintown is on that list. But the best news about this feature? When you use Bandsintown on your YouTube card, the card will link directly back to your website. This is great news for artists, and is vastly different than many third party applications that will take your fans to their website instead of your own. Just like any other online tool, there are some things you need to be careful of when using a third party app to help you out. Don’t let Bandsintown social media posts take over your profile. Just because the social media posting feature works well doesn’t mean it is a replacement for actual posts created by you. Even though Bandsintown gives you lots of posting customization options, if all your fans ever see are these posts, they will probably check out pretty quickly. You can read our blog for tips on managing your social media profiles here. Don’t let Bandsintown gather all your fan data for you. Although they have some great analytical tools, you don’t ever want a third party to be the main way you gather information about fans. If third parties are the only way you’re collecting fan data, if they ever shut their doors, you will be left high and dry with no way to communicate with fans. Don’t Let Bandsintown Emails Replace Your Regular Newsletters. It’s great that Bandsintown will automatically send your fans an update when you’re playing in their area, but a personal newsletter written by you is a better way to engage with fans. Many email newsletter services also allow you to geographically target your email audience. 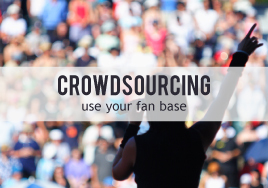 Using Bandsintown and your favorite e-newsletter platform in conjunction with each other can optimize your fan interaction, and help get those fans out to your shows. Overall, Bandsintown is a well built, professional tool that can help artists manage the planning and promotion of their shows, and I would recommend it to almost any artist. But as always, do some experimenting and find out if this app is something that will work for you and your music. If you want more information, you can check out Bandsintown’s official website here. Have you used Bandsintown? What are your favorite features? Has it helped you to plan more effective tours, and get fans out to shows? Let us know in the comments below! ReverbNation is a music-specific social network that over 3.5 million artists use. From digital distribution and web hosting to gig opportunities, ReverbNation seems to have it all. But do you need a ReverbNation profile? Is ReverbNation actually helping my career? ReverbNation has some useful tools. But some of its features might do more harm than good to your music career. We want you, the artist, to market your music effectively, engage with fans well, and have a successful career. Part of that is using the tools available to you wisely. So we’ve outlined some things to steer clear of when you use ReverbNation, and a few things that ReverbNation might be able to help you with. Don’t let ReverbNation’s automated social media posts replace your personal interaction with fans. ReverbNation easily syncs with major social media networks like Facebook and Twitter. ReverbNation can automatically post information about your shows to other social networks. It will continue to post show information as it gets closer to the show date. While this sounds like a great thing, ReverbNation won’t let you control when those things are shared, or how often. ReverbNation’s posts tend to fill up your profile with impersonal concert notifications. While it’s great to let fans know when and where you’ll be playing, these impersonal post soon begin to look like spam. This can frustrate and annoy fans, which is the last thing you want to do. 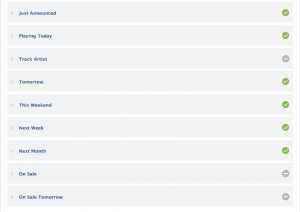 If you let ReverbNation post to Facebook, it can also lower your position on your fans’ newsfeeds. Facebook has a very specific algorithm that dictates what gets placed into newsfeeds. Numerous duplicate posts could get flagged in Facebook’s program, and mean a lower fan reach. Do have a regular social media posting schedule. A status that you took the time to write is better content than a computer generated post about a show. When your social feed is full of automated links, it can make you look like you don’t care about interacting with your fans. ReverbNation’s automatic posts won’t harm you if your newsfeed has lots of organic posts. When the automated updates are interspersed with personal content, fans can get excited that you are announcing shows, instead of frustrated that their feed is full of unwanted notifications. Don’t sacrifice a great website. ReverbNation has the ability to create a good looking website, that is mobile and tablet friendly. But I have a major problem with ReverbNation’s website builder. There are only three templates, and almost no customization. While Reverbnation’s website design and hosting is easy to set up, the lack of personalization cuts down on the usefulness of this service. You want your website to be an accurate representation of who you are as an artist, and you want it to be a place where you can interact with fans. 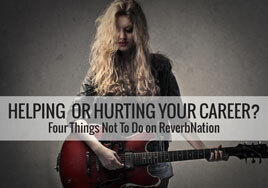 In my opinion, ReverbNation’s sites don’t allow you to do that. As a quick example, let’s check out one of the bands that ReverbNation uses to showcase it’s website building feature: Skyward. Skyward is an independent alternative rock band from Harrisonburg, VA, and I reached out to talk to them about how their band utilizes ReverbNation. The first thing I asked them about was web hosting. 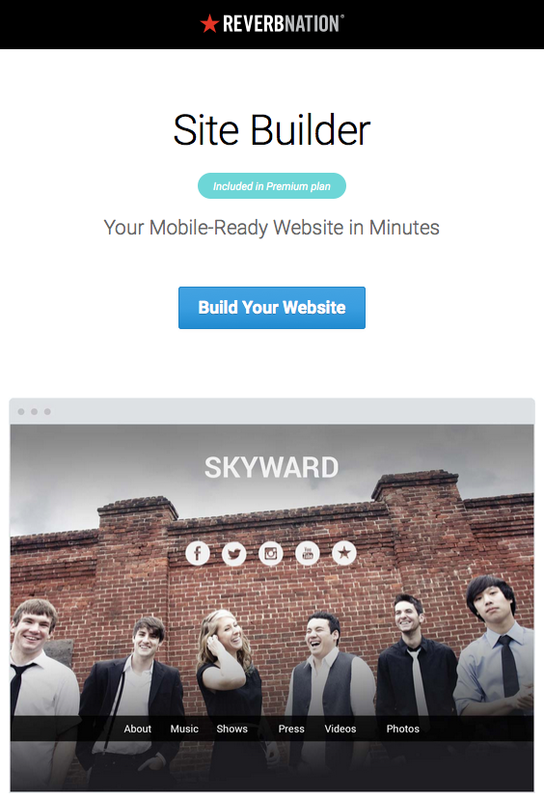 They told me that even though ReverbNation features the Skyward website on their information page about site building, Skyward does not actually use the ReverbNation website tool, instead they use a design/hosting platform from Wix for their homepage. If a band that is featured on ReverbNation—specifically on their information page for site building—doesn’t use the service, that tells me that something about their web design platform did not meet the expectations of Skyward. ReverbNation may want to update their information page with a band that is actually using them to design/host their site. If you don’t currently have a website, ReverbNation’s website builder might be a good place for you to start. Having a website with almost no customization is better than having no website at all, and if this fits your need, then ReverbNation offers a good solution for beginners. 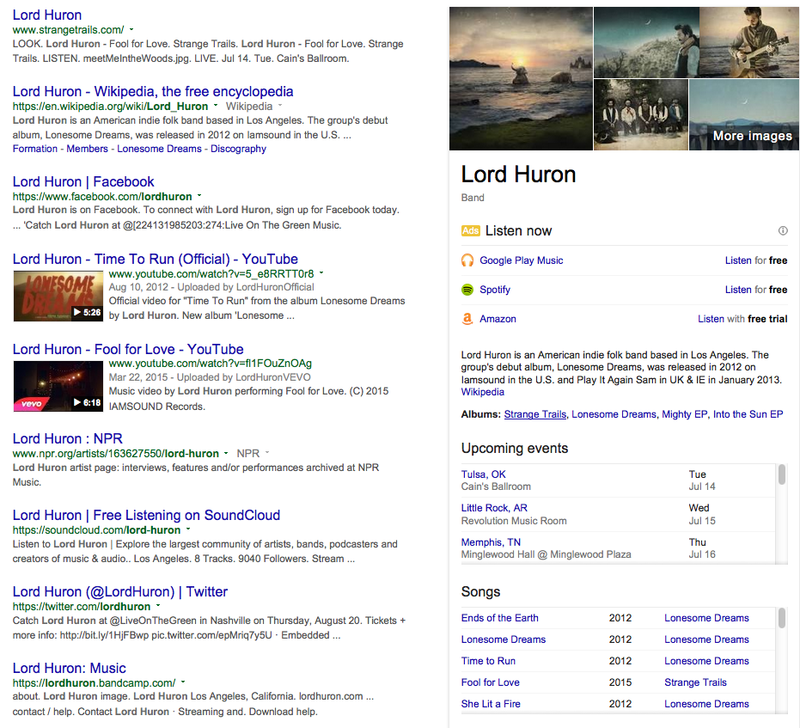 Social media profiles, including your ReverbNation profile, are not a substitute for good website. So if you don’t have a website, and aren’t sure how to go about creating one, ReverbNation might be a good place to start. However, if you are willing to spend a little extra time, you can have a much more custom website with the same tools at about the same price. There are lots of web hosting and design services that have comparable prices to ReverbNation, and allow you to fully build the best website for you. I recommend WordPress, Square Space, or Wix. Don’t expect hundreds of new fans. While ReverbNations boasts that they have 3.5 million bands signed up on their site, they never let us know how many fans have profiles. There’s no doubt that some music fans are on ReverbNation, but is it a site that hoards of fans visit to find new artists? Probably not. The majority of users on ReverbNation are other artists. Don’t make the mistake of thinking that a ReverbNation website will generate fan traffic and get you noticed. Try this simple test – ask the next 20-30 people you meet how they listen to music. Track how many tell you they log onto ReverbNation to find new music, I think you will find the number is small or possibly zero. When I tried it not one of my people said ReverbNation. If you want genuine interaction with fans, new and old, ReverbNation is probably not the place to do that. ReverbNation probably isn’t the best place to connect with fans. Finding out where your target audience communicates will help you build meaningful relationships with fans. Try Twitter, Instagram, Facebook, or Patronage. There are thousands of live show and press opportunities on ReverbNation. In theory, having thousands of potential gigs at your fingertips is wonderful. But there are problems. One issue is simply sorting through them all. 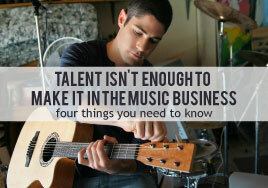 You have to find the opportunities that are relevant to your band that you actually have a chance of booking. Remember, there are literally millions of bands on ReverbNation trying to compete for the same opportunities as you. You also have to pay to submit to many of the opportunities on ReverbNation. While this is not necessarily a bad thing, if you don’t get the gig, that money is gone. So if you choose to submit to these gigs, make sure you are paying attention to the cost. Do submit to opportunities that can genuinely enhance your career. 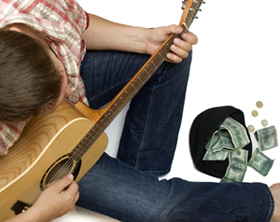 When looking for opportunities on ReverbNation use your time—and your hard earned cash—well. Spend it on things that are actually going to enhance your career. Some people successfully find gigs on ReverbNation. Other artists don’t. The guys in Skyward have had some moderate success with ReverbNation opportunities. They recommend looking for opportunities based on geography. You’re much more likely to have the chance to play at a local festival that uses ReverbNation than at a festival thousands of miles away. You always have to keep in mind that you are competing with thousands (or millions!) of other musicians. But if you’re smart about where you spend your time and money, and it might pay off! There are things you probably shouldn’t be using ReverbNation for. But it can be a great tool when you use it wisely. ReverbNation offers digital distribution at good prices, and their services are comparable to many other aggregators. And if you are already paying for the premium tier of ReverbNation, digital distribution is included. 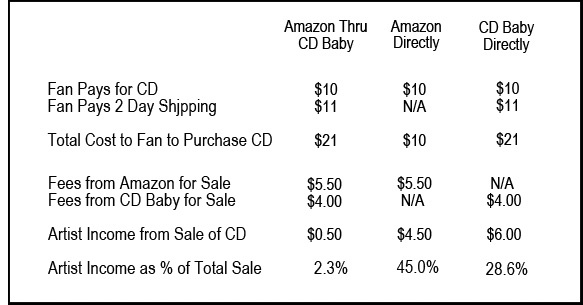 They also offer a great rate when you sell downloads from their online store. Selling downloads is even available with a free membership! Musicians keep 87% of the revenue they generate from selling their music on ReverbNation. That’s quite a bit more than the 70% you’ll make from iTunes. Reverbnation also offers a great looking Electronic Press Kit. If you need something simple, effective, and streamlined to send to promoters, ReverbNation’s press kits are good looking, easy to set up, and offer great tools like integrated fan stats. You can even see who opened your press kit, and exactly what they clicked on. Thanks to Skyward for their input in this article. You can checkout their music here, and their ReverbNation press kit here. 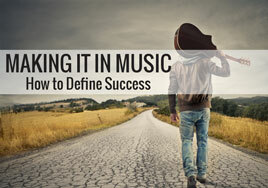 With everything on your plate as a musician—and there’s a lot: songwriting, recording, booking gigs, connecting with fans, managing social media, building your website, finding music distributors, looking at record labels, selling your music—you’re more than busy and a little distracted. That’s all the more reason to make sure you’re covered in case the worst happens. Your band is doing well: playing regularly, recording a few tracks for your newest album, booking a small tour. After a gig, you decide to go celebrate with friends before the band leaves town. All the instruments and equipment are loaded into your van—the guitars, bass, drums, keyboard, mics, amps, the iPad and audio interface you used to record that night’s gig, the band leader’s laptop and notebook of song lyrics, all the cables and pedals and boards, and your band merch. You head over to the all-night diner along the highway, and when you emerge two (or four) hours later, the back window is shattered and everything is gone. Heritage Insurance Services is one of the best in the music industry. They are very knowledgeable about instruments and the needs of musicians. 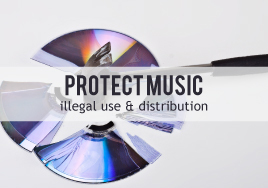 They offer worldwide coverage from the typical threats for the instrument itself as well as the related gear (cases, recording equipment, accessories, amps, etc). Heritage even provides insurance for shipment or travel. However, they do not insure laptops or iPods. With over 40 years of experience, another leader in the musical instrument insurance business is Clarion Musical Instrument Insurance. They offer insurance for professionally-used instruments against standard threats (breakage, earthquake, flood, etc) regardless of where in the world the instrument is. One nice feature is their Business Interruption Endorsement, which will help cover lost wages from gigs cancelled because of instrument damage or theft. Again, this company offers worldwide insurance against unintentional damage, disaster, and theft for your instruments and equipment. Coverage starts as low as $150, which is a great deal for the peace of mind provided. 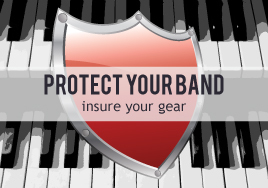 Contact several musical instrument insurers to be sure you’re getting the right coverage for you and your band. It also can’t hurt to call your homeowners insurance company to see if they offer an insurance policy for musical instruments. Regardless of the company, be sure to clarify that the instruments are used for performances and the type of music you perform. Also, ask whether it’s possible (or advisable) for your band to insure your instruments and equipment collectively. The loss or damage of your band’s instruments and equipment can be a nightmare. Without the proper insurance, your band would have to rebuild from scratch, requiring a heavy investment of funds without your main method of making money. This could force even a successful band to fold. Instead, the right insurance policy could let your band get back on track quickly and easily. Does your band have insurance? Is it collective or spread across the individual members? How did you pick your insurance company and policy? If you don’t have insurance, what’s your emergency plan? Hosts Micheal Brandvold and Brian Thompson have a good bit of industry experience. Micheal is a freelance music industry consultant who has worked with KISS, Motley Crüe, Britney Spears, Rod Stewart, Ozzy Osbourne, Madonna, and many more. Brian is a managing partner for Thorny Bleeder Records and formerly was the corporate head of music buying and marketing for a national music retail chain. The two put out this weekly podcast covering the latest news in the music business, music marketing events, and music marketing techniques. This podcast is mostly about what is happening in the music industry, so you won’t hear as much about marketing. It will give you a good sense of rising trends or upcoming changes, which should help you stay ahead of the curve. Music Business Radio offers a lot of information straight from the mouths of some of the biggest names in the industry. They certainly know what is going on, and the best way to learn in this industry is to talk to people that have experience in it. Like the other aspects of this businesses, experience trumps book smarts. If you aren’t a top level professional, this is a great podcast. The show is geared towards the “Joe Songwriter/Musician” learning how to record their own songs on a budget. Hosted by Bob Boilen, this show plays music from emerging bands and musical icons, as well as interview musicians, DJs, songwriters, and so on. Concepts and the general state of music are considered and discussed in true NPR fashion. 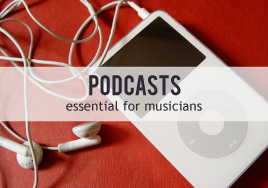 You don’t have to limit yourself to music industry podcasts, either. General marketing podcasts may be really helpful and translate well to the music industry. Find what you like and get learning! When you need a break from your music, what do you listen to? Are there other podcasts you could recommend?